Start Week of Jan 7th! No Refunds 24 hours before or after start of session. 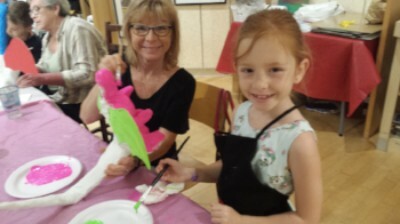 This workshop is suitable for a grandparent or parent and child to spend some creative time together. You may wish to bring a nut free snack and drink. Extra time will be allowed the first day if needed. Can't make this one? This workshop will be offered again Feb 2nd and 9th. Sorry, no refunds 24 hours before start. 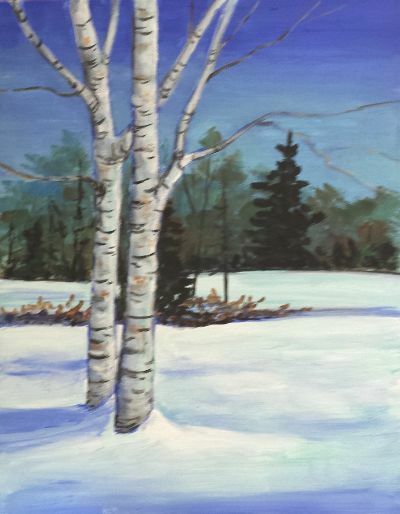 Bring a friend and paint a landscape in acrylics! Includes all supplies and catering from Ye Olde Squire. Viewing at other times is by chance or by appointment: Mon-Fri.
for daily hours and special events!